“Because Kumu Kahua Theatre is so singular in its dedication to teaching people how to tell—and listen to—the stories of place and people, I honestly think it is one of the most important theatres in our nation,” says managing director Donna Blanchard. In 1971, a group of graduate students at the University of Hawai‘i at Manoa came together with the goal of producing locally written experimental works of theatre. Led by future university professor Dennis Carroll, Kumu Kahua (which means “original stage” in Hawaiian) began creating new plays and performing them in various spaces at UH’s Manoa and and West Oahu campuses, Manoa Valley Theatre, and a rehearsal space at Diamond Head Theatre. But what began as an assortment of enthusiasts creating alternative and avant-garde pieces of theatre developed into a company of playwrights and actors writing and performing plays dealing with the Hawai‘i experience socially, culturally, and economically. Kumu Kahua was granted nonprofit status by the state in 1982, and in 1994, the Hawai‘i State Legislature awarded the theatre its current 100-seat playhouse: the former Kamehameha V Post Office at the corner of Merchant and Bethel streets in downtown Honolulu. Kumu Kahua now had a home. Built in 1871, it was the first structure in Hawai‘i to be built with concrete blocks and iron bars. Its successful construction was replicated the following year with King Kamehameha V’s royal palace, Ali‘iolani Hale (today home to the Hawai‘i State Supreme Court). Kumu Kahua ran a continuous season of three to five plays for the next decade and a half, and for a time, things were good. Then in 2009, the theatre suffered financial setbacks with the recession. With massive cuts in state funding and with no managing director, Kumu Kahua’s spring 2010 production looked to be its last. Enter Donna Blanchard. The managing director of the Chicago Street Theatre for five years, Blanchard discovered Kumu Kahua after a nationwide search to find a place where performances were dedicated to people telling stories of the community in which they lived. Having experience in operating theatres as well as in grantwriting, Blanchard was the ideal candidate. 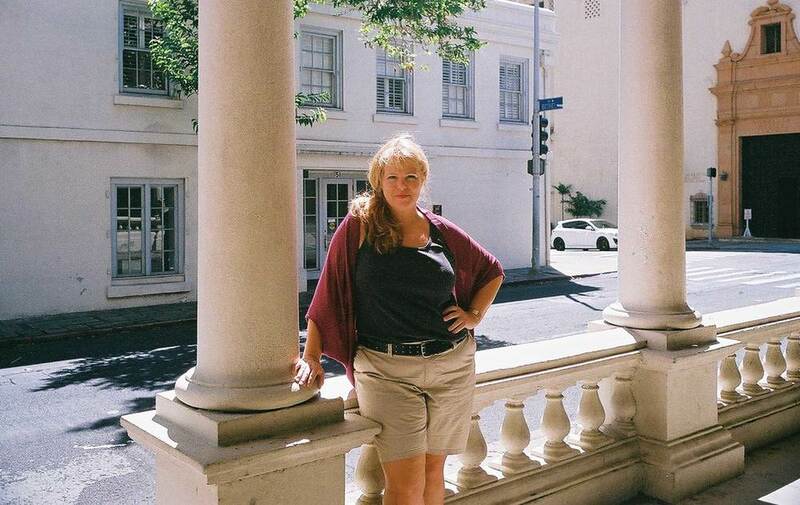 She relocated from the Midwest to Hawai‘i in early 2011, and with her guidance, the theatre has come back from the brink of closure, with a strong operating budget and sustainable grant resources. “The positive momentum of KKT is the result of a titanic team effort,” she says. At the time of Kumu Kahua’s inception, there was no local theatre committed to telling stories about Hawai‘i and its various cultures. Forty-five years later, Kumu Kahua remains dedicated to supporting and producing original works of regional theatre. In an era when technology keeps people firmly locked in the perpetual now, Kumu Kahua presents an opportunity for us to look back. They are the timekeepers of our local lifestyle and culture, so that we don’t see the past in an overly sentimental light nor as simply a footnote in textbooks. Their stories—both ones about the past, as well as modern tales of present-day Hawai‘i—are part of the collective experience of Kumu Kahua’s history, and of ours too.